As always, the download link is located near the bottom of the post. Here at Garbage and Gold we are not content with monotony. This is now the 8th record that has been offered up to the masses on this blog and I have decided to do something a little bit different this time. Don’t worry, an LP’s worth of great music is still headed your way, that much will never change. But being the sole contributor of this blog can be a lonesome affair, so for this post, I have asked some of my best friends to contribute their creative talents to the blog. 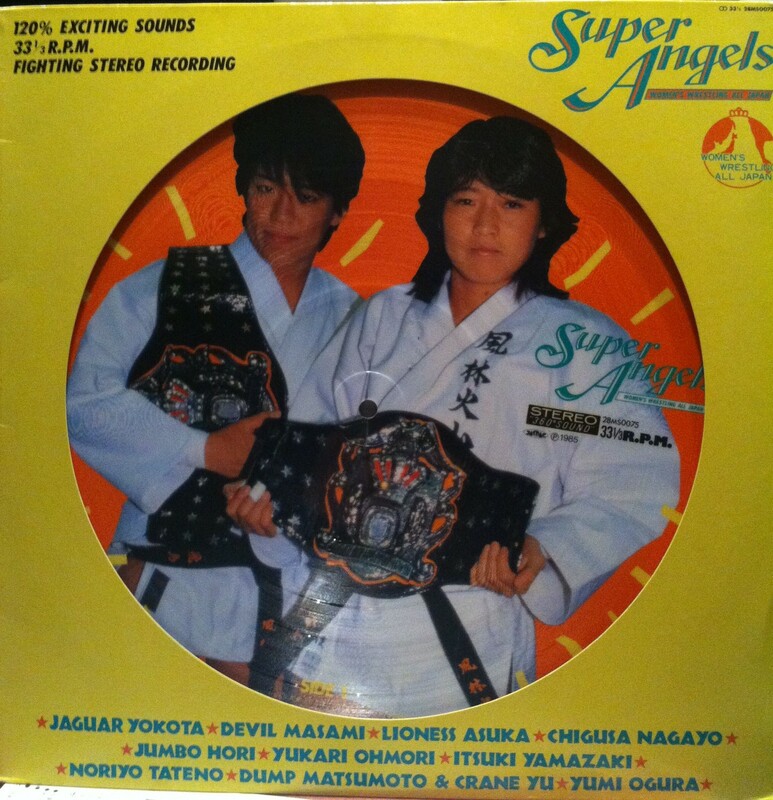 The LP that we are presenting today is called Japanese Super Angels, a musical record promising “120% Exciting Sounds”, “Fighting Stereo Recording” and “360 Degree Sound”. 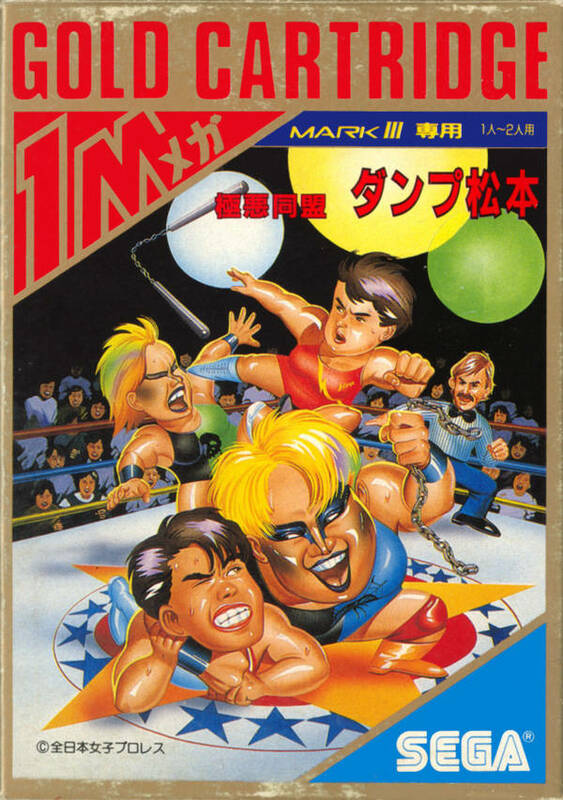 The songs contained are individualized Wrestler Theme Songs for fans of Women’s Wrestling All Japan or The Super Angels in the 1980s and 90s. It is a beautiful picture disc record that caught my eye one day misfiled in the Sound Effects section at Amoeba Music (Hollywood). I took it home expecting wrestling sound effects, I was pleasantly surprised. This record contains some of the grooviest 80s Rock-Jazz-Funk-Synth-Pop-Nintendo-Fusion jams that I have ever come across. They are driving, motivational and inspiring, perfect for the adolescent wrestling fans that this record was probably targeted toward. They are catchy as the flu, yet, I couldn’t find any other copies or digital versions of these songs anywhere! 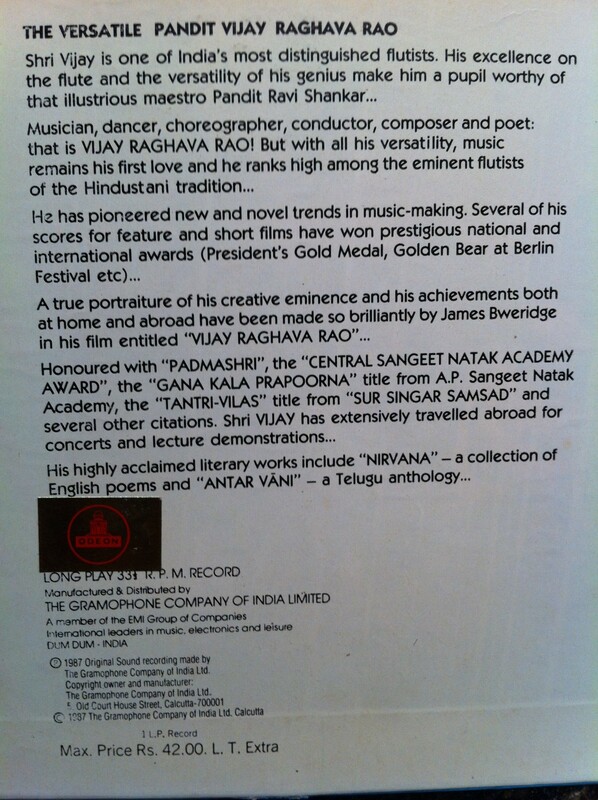 This is a perfect example of the type of record that I started this blog for. A hidden gem. Someone’s garbage sold for a couple dollars has become this record collector’s gold. When you download below, you can share my plunder. Go ahead, download it now. Throw it on. 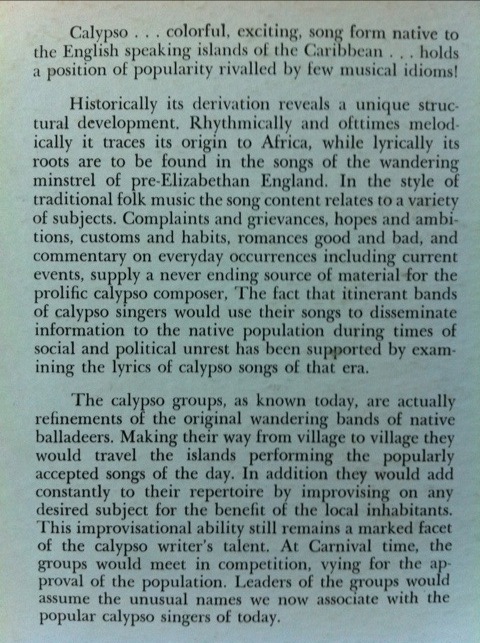 Then continue reading, we have a lot of good stuff for you! As I mentioned before, we have some great guest-writers that have contributed to this post. 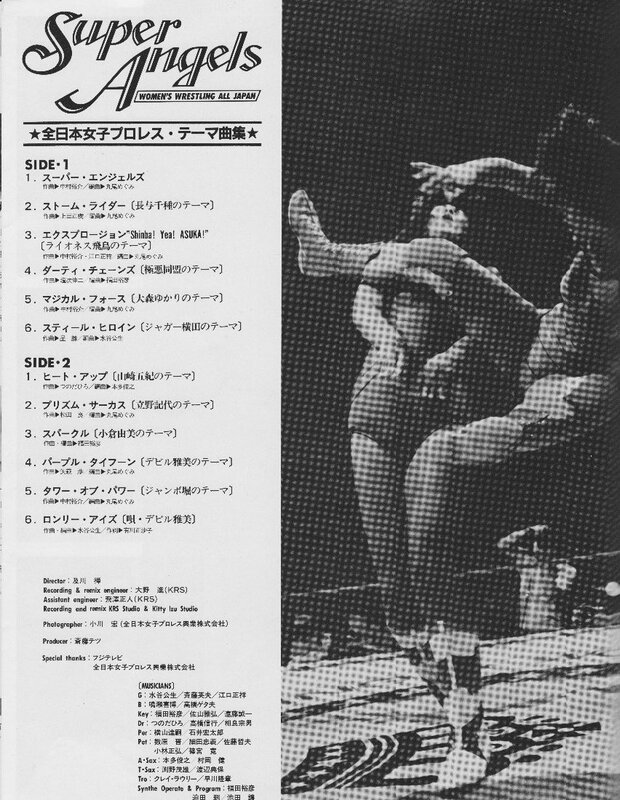 About half of the wrestlers profiled on this record have a short piece that accompany their information. In some cases this piece is a bio, in others the writers have taken their creative liberties to truly capture the essence of these modern gladiators. Please take the time to download and read these pieces. The writers have worked hard on them so that you could get an extra laugh/cry as you enjoy this music, so please feel free to do so. I offer a sincere thank-you to these writers for taking the time to make this a better post. Further gratitude goes out to reddit users: EasternNinja (for so much information and real character bios) and dxn126 (for the song titles). I hope that you all enjoy the multimedia. 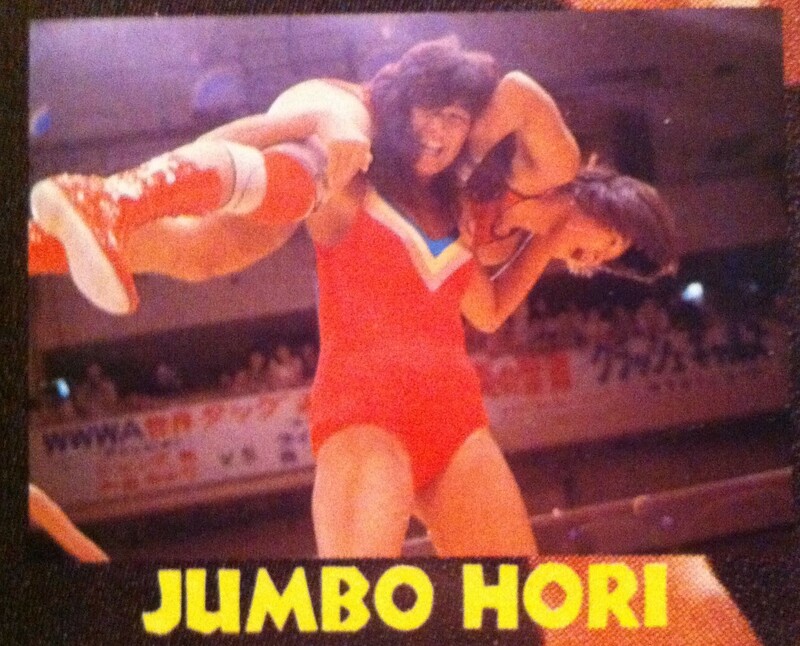 Here is a gallery of all the images of the wrestlers. 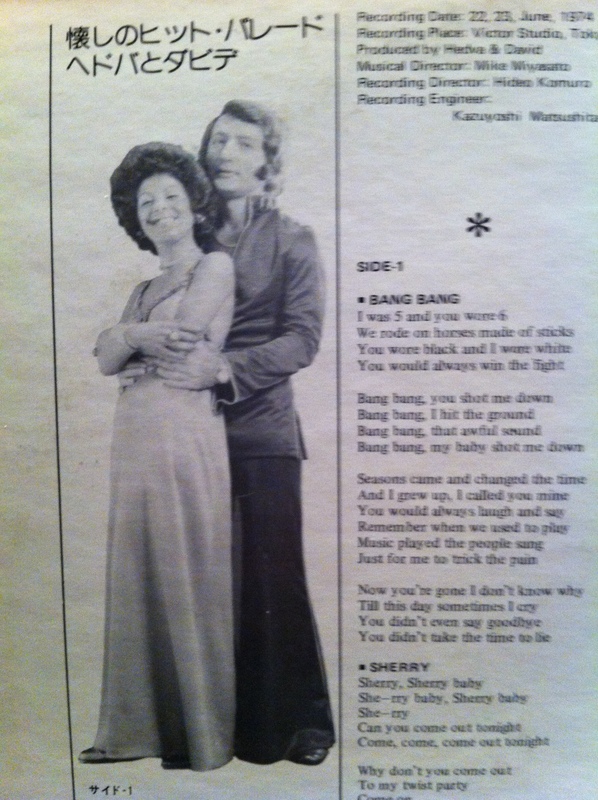 What we have here is an Israeli pop-duo from the 70s singing familiar American tunes on a record released in Japan. A truly international record. A record that found it’s way across the world before falling into my grubby hands. 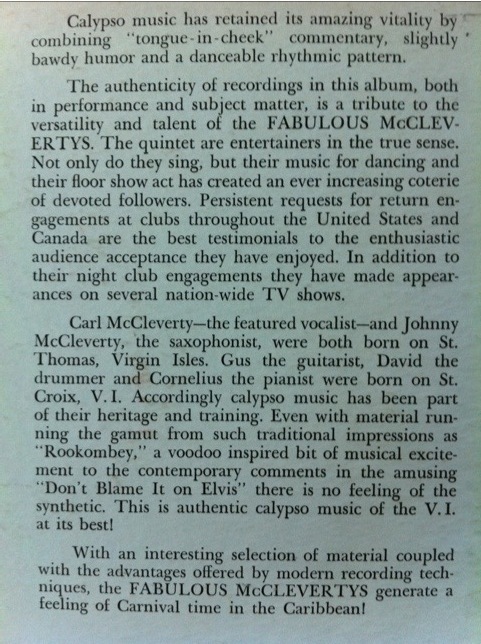 A record inscribed with a personalized note from Hedva herself, yet was deemed worth only 5 dollars. What long-hidden secrets might this ring of black plastic contain? What sounds, like a genie lying dormant for years, may come forth when rubbed with an amplified stylus? Hedva & David are Hedva Amrani and David Tal an Israeli vocal team who had their greatest success in Japan with their song “I Dream of Naomi”. 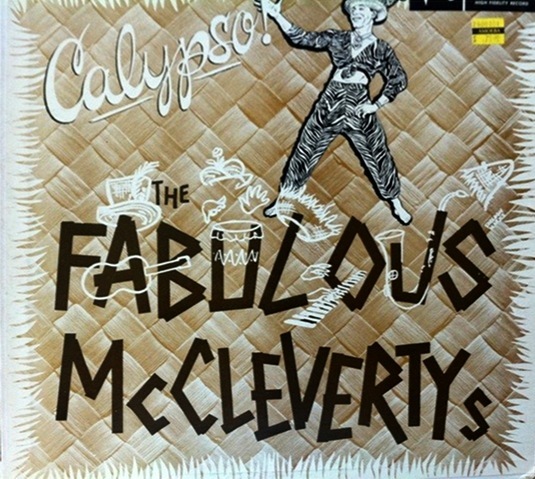 This record finds them covering some great American pop-songs of the 1960s. It’s pretty great to hear these songs with the duo’s Israeli accents creeping in here and there. Hedva has some excellent vocal bits, which lend themselves to some creative sampling. Overall, I think that this is the sort of album that is great for a little cheese to get a good chuckle at. 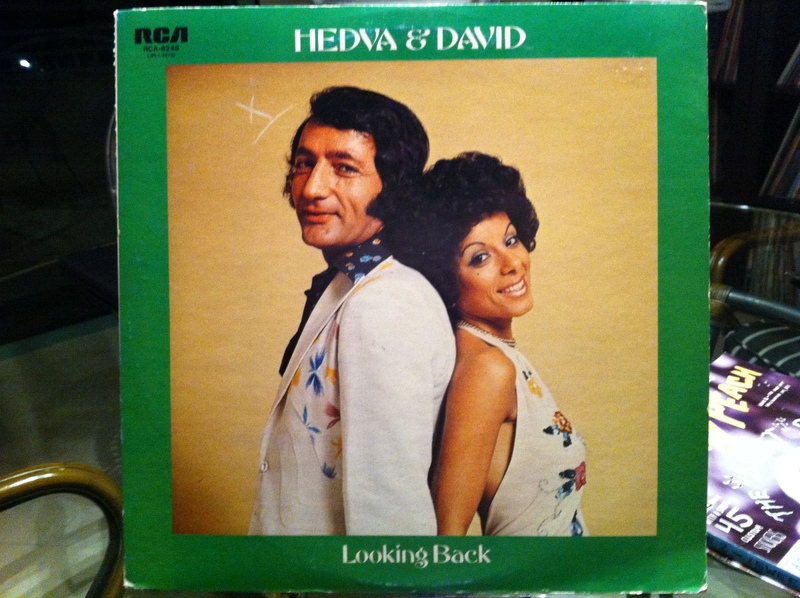 I’m sure that Hedva and David have other records that are a better representation of their creative achievements. I would imagine that this isn’t on of their better records. That being said, it isn’t all that bad. In fact, on repeat listenings (yes, I have actually listened to this record close to 10 times now… oh the things I do for this blog!) many of these songs have grown on me. The duo’s take on the Cher song made popular by Nancy Sinatra made popular by Kill Bill, Bang Bang, is an obvious hit, opening up the album. 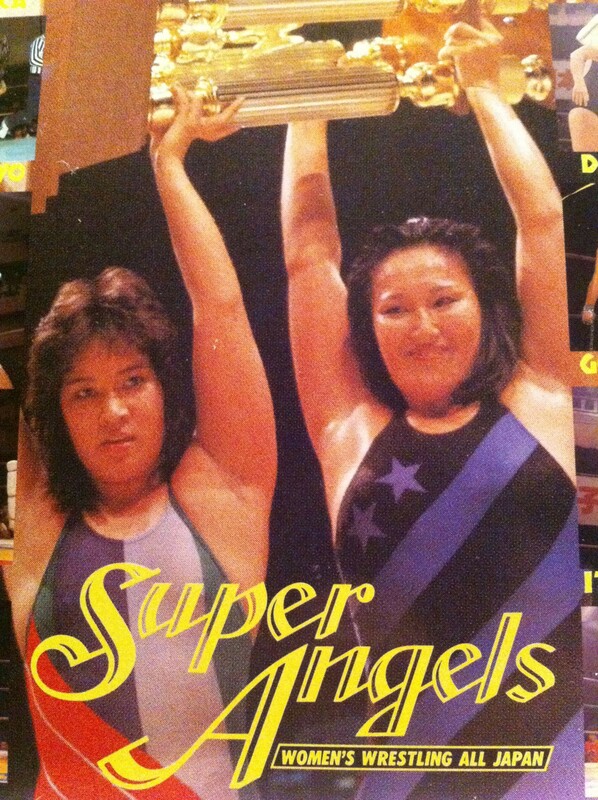 I really like their version of Johnny Angel. Also, Hey Paula has some great vocal bits. I hope that you all enjoy. Oh and in case you are in the Los Angeles area, Hedva Amrani is your neighbor and has been performing solo as recently as a few months ago. Check out her website in the links below. 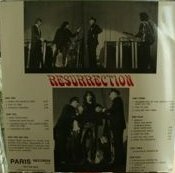 Resurrection is a 2xLP put out on Paris Records by the French Fan Club of The Doors. It is an unofficial compilation of various live recordings of The Doors during their peak years: 1967-1969. This is a must listen for any fan of The Doors. You think you know the band, but you have no idea. 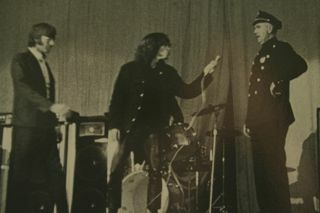 The studio recordings in no way properly represent the band’s live performance. 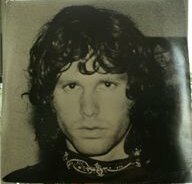 The long improvisational versions of their songs contained on this record capture the essence of The Doors in all it’s uncensored and unedited spectacle. This is the true sound of The Doors. This is a very rare record issued in 1985 as a limited pressing distributed to members of the French Fan Club: “Not For Sale”. The recording quality is not great since these are bootleg recordings. 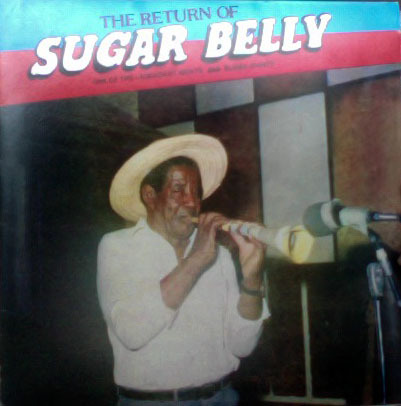 But as far as bootleg recordings go, they aren’t bad. 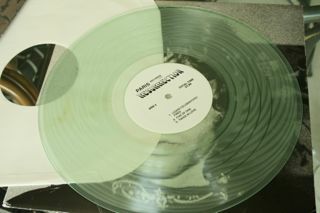 The French Fan Club printed 500 copies on Black Vinyl, 100 on Clear and 100 on Green. The copy I have is on clear vinyl. I found it at Amoeba Records (Hollywood) mis-filed in the Dosh section. 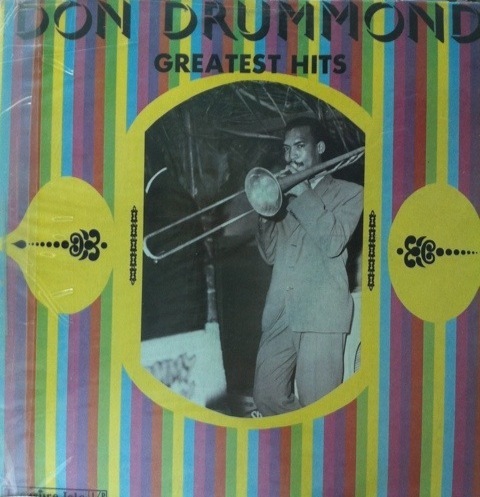 This is a very special record in my collection and it is the record that inspired me to create this blog. 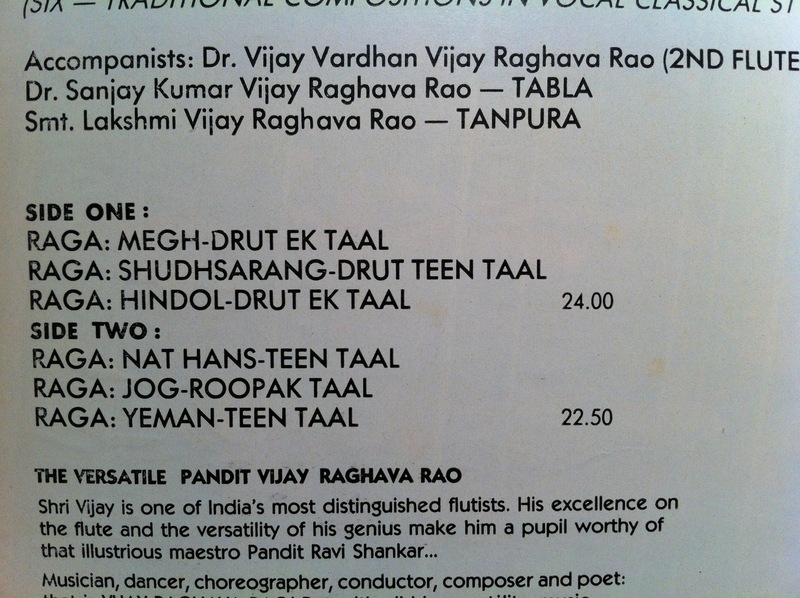 This record has rare recordings that you can only hear by owning one of the 700 copies (until now). 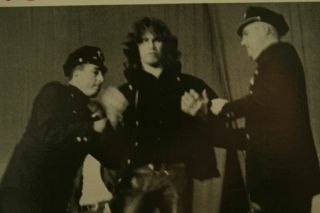 You will get a very clear idea of what it must have been like to see The Doors perform in their prime. 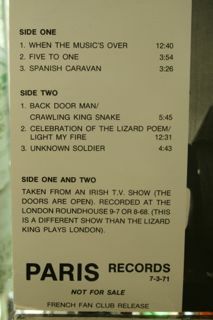 Light My Fire appears three times on the record, twice as an afterward to the Celebration of the Lizard Poem. 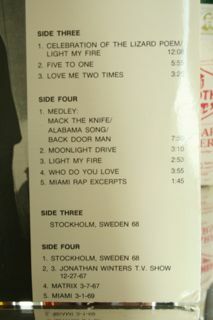 Musically, highlight of the album for me is the Mack the Knife/Alabama Song/Back Door Man medley. 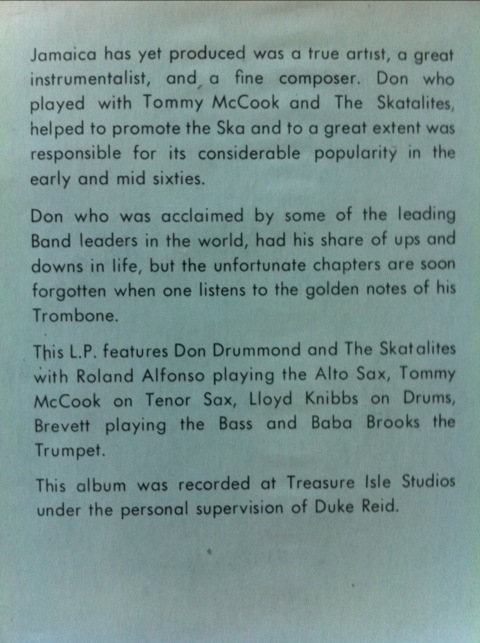 There are some incredible improvisations from all members of the band. You really get a feel for how Jim lead the band through the songs, they really are all reacting to his vocal improving, much like a shaman leads a trip. 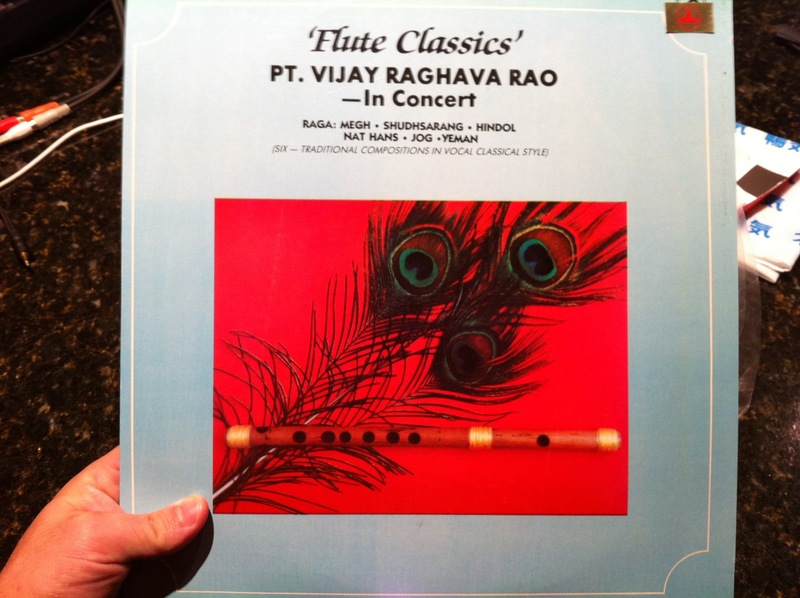 There are some fantastic hidden gems in these recordings. Jim Mouthing Off. 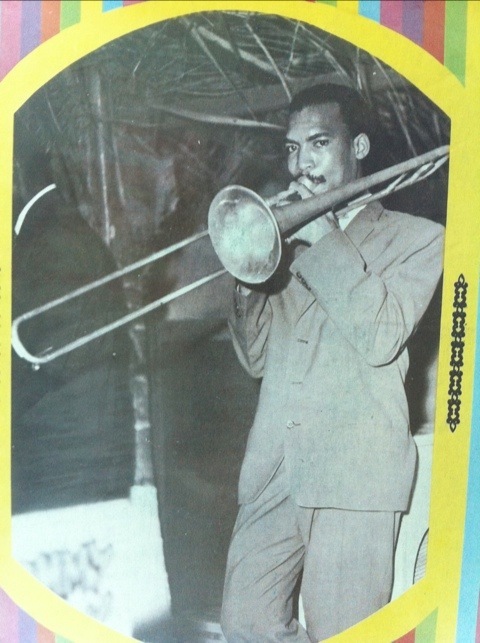 Ray stepping in. The last track is also really special, it contains excerpts from the infamous 1969 Miami concert at Dinner Key Auditorium. The record titles it Miami Rap Excerpts. This is a spliced recording of the tirade that ended with Jim purportedly exposing himself and getting arrested by Miami PD. You can hear the rest of the band’s frustration come through their instruments during Jim’s rant! The Coconut Grove venue hasn’t existed for quite some time, since it was converted into the Coconut Grove Convention Center, which is now the soundstage for the TV show Burn Notice. I can see the old venue very clearly from my window as I write this article. Very trippy. Take a trip back to 1969. Close your eyes and see The Doors live in concert. Visionary supplements recommended. Download Below!